2017 is the year to vacation at Universal Orlando Resort for the holidays. Universal has so much planning with the holiday season and I can’t wait to tell you more about it. celebration, which will run for more dates than ever before from November 18, 2017 to January 6, 2018. I am so excited about this! If you want to experience The Wizarding World of Harry Potter over Christmas book your Orlando Resort Vacation today. Do not wait. I predict Universal Orlando Resort will book up quickly with this new Christmas time celebration. to celebrate the magic of Christmas in J.K. Rowling’s Wizarding World. 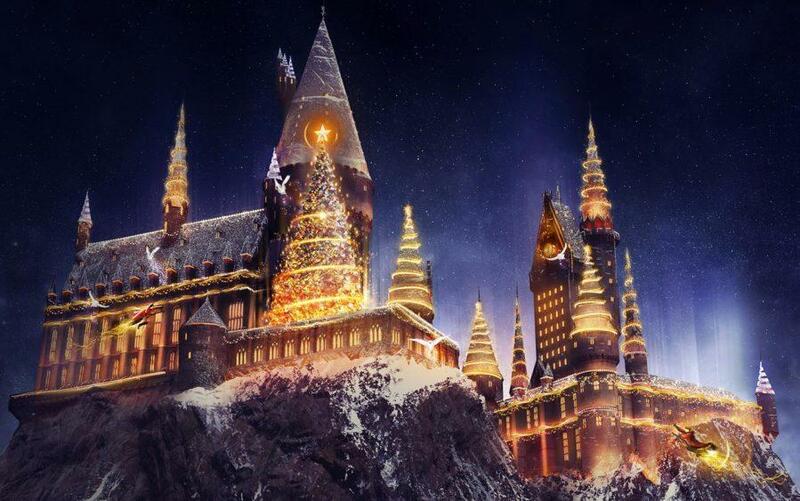 As night falls, a magical holiday transformation of Hogwarts castle will take place right before your eyes. and memorable Christmas moments from the Harry Potter series to life like never before. about The Wizarding World of Harry Potter will be released soon. experience to life. More details will be released soon. Potter and Universal’s Holiday Parade featuring Macy’s – will run daily from November 18, 2017 to January 6, 2018. Access to the festivities is included in regular admission to Universal Studios and Islands of Adventure. May 25, and early park admission to The Wizarding World of Harry Potter and Volcano Bay.